Okay so you probably already read this on Huffington Post (which is where I saw it). It's an article from Science Daily on kissing. Usually these kinds of articles are boring as paste. But this one is definitely worth reading if you are dating, thinking of dating, in a relationship, thinking of being in a relationship--oh heck it's a good read for anyone. 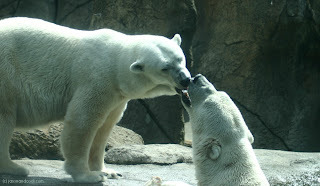 Males tended to kiss as a means to an end -- to gain sexual favors or to reconcile. In contrast, females kiss to establish and monitor the status of their relationship, and to assess and periodically update the level of commitment on the part of a partner. Ain't that sumpthin! It's kind of a reminder to always be present and to pay attention to the message we're sending with even the little gestures of daily life.